The Caseber’s are proud to cater to families in the Pacific Northwest and are proud that High Country Homes can offer homes that are suited for everyone. We provide high quality, great floor plan selection, and a wide variety of customized options, all at attainable prices. High Country Homes was formed with one purpose in mind; to satisfy the needs of homebuyers by building a tailored fit home of quality and value. We do not take lightly the fact that homebuyers entrust us with one of the largest and most important purchases of their life. 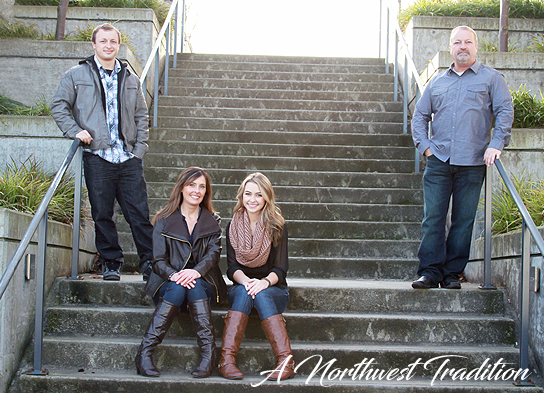 Jeff and Lori have two children whom have grown up in the business and to them—it truly is a way of life. They all share Jeff’s passion for homebuilding which will likely continue generation after generation—right here in the Pacific Northwest! We are dedicated to building timeless homes and communities in the Pacific Northwest while providing a high level of quality construction and service at attainable prices. We strive to be recognized in the Pacific Northwest as a professional, ethical and quality home building company by remaining true to our high standards and core values.